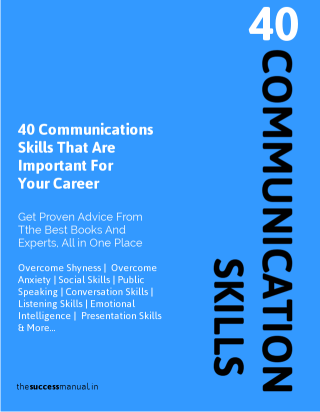 This Unique All-in-one Collection of Proven Advice on Communication Skills Covers 40+ Quick Guides To All The Important People/Social Skills. Use This All-in-One Resource And Become More Likeable. Use This Guide To Be Clear To The Relevant People, Which is Your Key To Going Places. This Guide Also Contains Helpful Guides For Introverts And Shy People.